Wall Street institutions, private equity and hedge funds have been internally using sophisticated modeling and underwriting techniques inorder to scale large portfolio’s of REO to Rental single family holdings. Now individual investors can also benefit from a property risk analysis as an important first step in the vetting of a potential residential rental investment opportunity. Developed through a network of asset managers, holding & capital allocation companies the location based Risk Index used historical data of actual performance of a 1-4 family non-owner occupied portfolios and further cross-referenced with historical performance of properties by independent professional property managers. The Risk Index has been successfully utilized now in multiple U.S markets and checked against the claims database of a leading investment property insurer showing a high degree of correlation. This type of preliminary underwriting of an asset is critical to both investors and lenders on moving forward on an acquisition. If a property is in a high risk area an investor could adjusting their target yield upwards to adjust for the risk reward ratio. 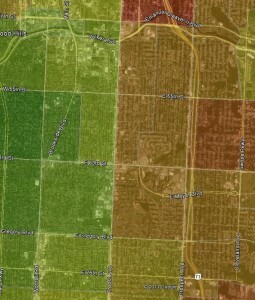 You will see on the image to your right the Index converted to a Heat Map overlay on Google Earth. The road in the middle of the map clearly delineates a significant risk boundary (Troost Avenue in Kansas City, MO). Investors, Residents, and City Council Members have referred to Troost Avenue as the proverbial “Train Tracks”, where the streets to the east are of less risk the streets to the west. Local residence always know where these streets are within their neighborhoods but to investors in a new market in the past this has been difficult to quantify. This provides a complete outsider the knowledge of such a phenomenon and an objective quantifiable system to measure its impact. Each different colored section represents a unique index score – the closer to brown, the worse the score, the closer to green, the better the score. 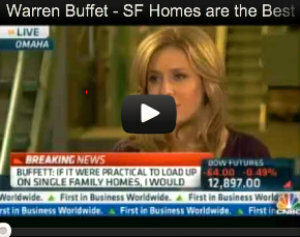 This is incredibly valuable information for real estate investors and private money lenders a like. Both lenders and investors would want to avoid areas in the tan brown hue as they will have a higher relative risk index. The Index specifically measures the location risk of a Subject Property, relative to a data sample size (MSA and National), as it relates to the income based investment performance. Substantial variances between MSA and National are indicators of overall market conditions. This composite index incorporates data that historically influences residential investment property performance. Key housing metrics, economic data, occupancy characteristics, social characteristics, and other census tract centric data are utilized in the development of this income-based index.oser to brown, the worse the score, the closer to green, the better the score. Individual investors can now utilize these risk based partners underwriting techniques to their benefit in over 12 markets. The BuyersUtopia network has investment grade residential income property available in the following metros: Atlanta GA, Birmingham AL, Charlotte NC, Dallas TX, Indianapolis, IN, Ft, Myers, FL, Jackson MS, Houston TX, Kansas City MO, Memphis TN, Oklahoma City OK & Orlando, FL. Our networks financial partners are so confident in the Risk Index of a property that when a property meets the minimum Index guidelines they will essentially partner with the investor on the acquisition, by providing half the money for the investor. A loan of 50% of the purchase price will be provided to the investor where the primary underwriting is the asset and not the borrower. The borrower will need to show proof of funds for the remainder of the purchase that is not covered by the loan, and will need to state their income, but since the focus is the asset and not the borrower only a soft underwriting is performed. An appraisal of the property is performed, as well as an inspection. There are no restrictions on the number of loans to any individual or entity other than the property cannot be used as someone’s primary residence.A first-position deed of trust or mortgage on each property these are non recourse loans which are a necessity for self directed IRA investors and foreign nationals. 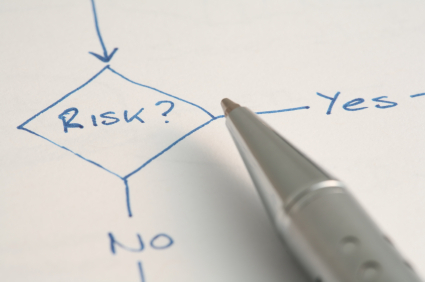 Risk Based Location underwriting is just the first step in evaluating of properties. The second step is for investors to understand the real numbers behind the asset and a detailed vetting of operating expenses is the next step in the due diligence process. This two pronged underwriting and due diligence process coupled with access to private money that will loan on acquisitions meeting risk guidelines can further increases investor yields while mitigating risks in the process. 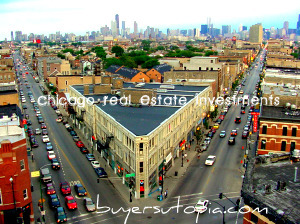 CLICK HERE: To Learn More About Investment Grade Rental Property Opportunities.